‘Ecstasy of Saint Teresa’ by Gian Lorenzo Bernini that is elevated in the Cornaro Chapel in Rome is based on the experience of Teresa of Avila, a Carmelite nun’s religious ecstasy when she encountered an angel who thrust a long spear of gold into her heart. I have not seen this masterpiece but Mark Vernon with whom I wrote this track has and was very overwhelmed by it. I spent many hours editing the film on iMovie as previously I used to do it on Windows and the only way to learn is to do it so in some ways its an experiment. When I filmed it I had no idea what I was going to do. The track is available to buy here. I’m keeping this blog short as I have been working long hours and finally the Summer is here with all the good news to go with it; good weather and a British wink wink Scottish Wimbledon winner! 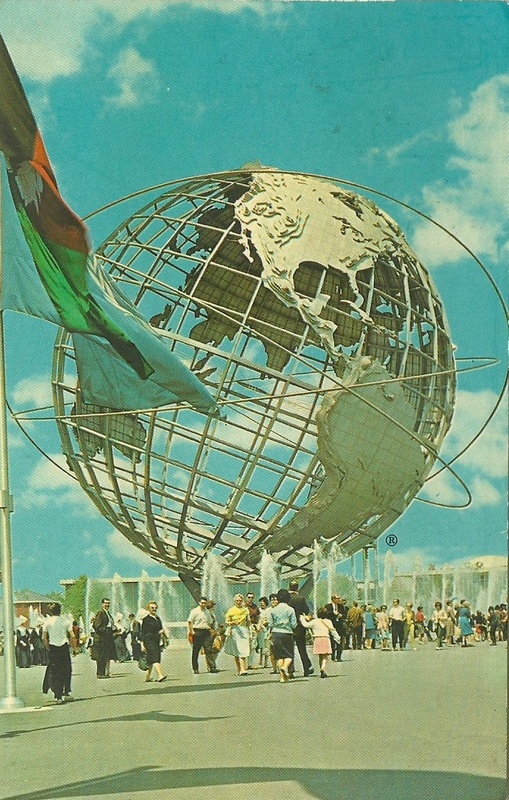 I love globes and I am very interested in World Fairs which were platforms for countries to show off their wares and industry. I imagine they were like a grown up theme park. They always created quite remarkable postcards and pictures and there were many in England beginning under Queen Victoria held at Crystal Palace 1851 ‘The Great Exhibition’. This particular fair in New York below was very controversial as it went into bankruptcy but before it got left to ruin you could eat sandwiches from around the world at the Seven Up International Gardens Pavilion whilst enjoying performances from Broadway or you could go to see the Worlds Largest cheese in Wisconsin, the dolphins on display in Florida, then eat at Hawai’s ‘Five Volcanoes’ and at the New York City pavilion, take a simulated helicopter ride around the huge model city of New York. The West Berlin’s Cold War display was popular but not as popular as Louisiana, which with it’s many bars replicating New Orleans, and the go go dancers at the ‘Gay New Orleans Nightclub’ proved an unmitigated financial success. The Jordanian pavilion upset some when it displayed a mural demonstrating the plight of the Palestinians. 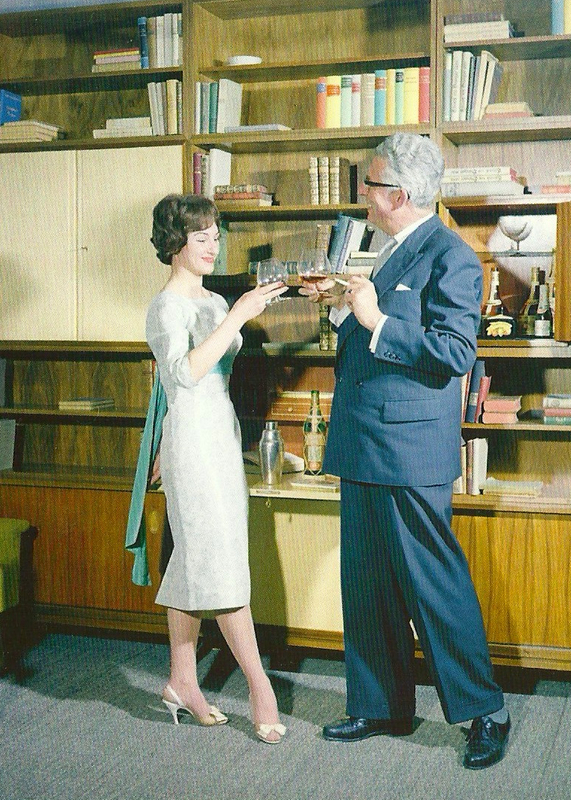 So as I start my Summer holiday – here I am at the afterwork party! 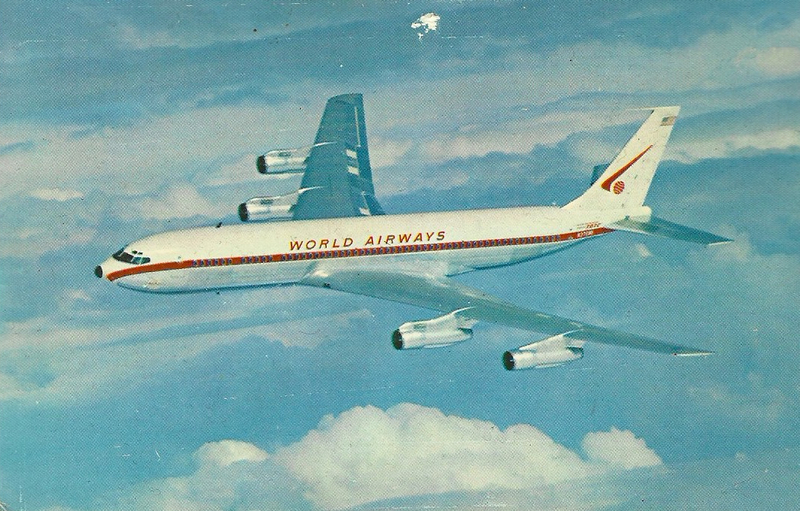 World Airways is not a carrier plane anymore it’s top secret. I have been very fortunate lately to have seen some of my favourite artists of all time playing including Peter Murphy (who was out of this world), Laurie Anderson with the Kronos Quartet (out of this world) and tomorrow, Blondie with Hugh Cornwell in support at Kew Gardens, out of this world. I am planning on writing new tracks this Summer. I’m starting with a skeleton on Cubase. Dave Barbarossa has kindly agreed to drum. I’m also have some vocals lined up with another songwriter. I miss my friends in America, David Baron et al, but England will do particularly when the weather is this good. This entry was posted in Ephemera, Music, Postcards, Singer Songwriter London, Uncategorized and tagged Blondie and Hugh Cornwell, Dave Barbarossa, David Baron, Ecstasy of Saint Teresa, Laurie Anderson and the Kronos Quartet, Mark Vernon, New York's World Fair 1964-1965, Peter Murphy, The Ephemera Society, Unbeknown Records. Bookmark the permalink.